About 3,700 years ago, people on Earth would have seen a brand-new bright star in the sky. As it slowly dimmed out of sight, it was eventually forgotten, until modern astronomers found its remains -- called Puppis A . 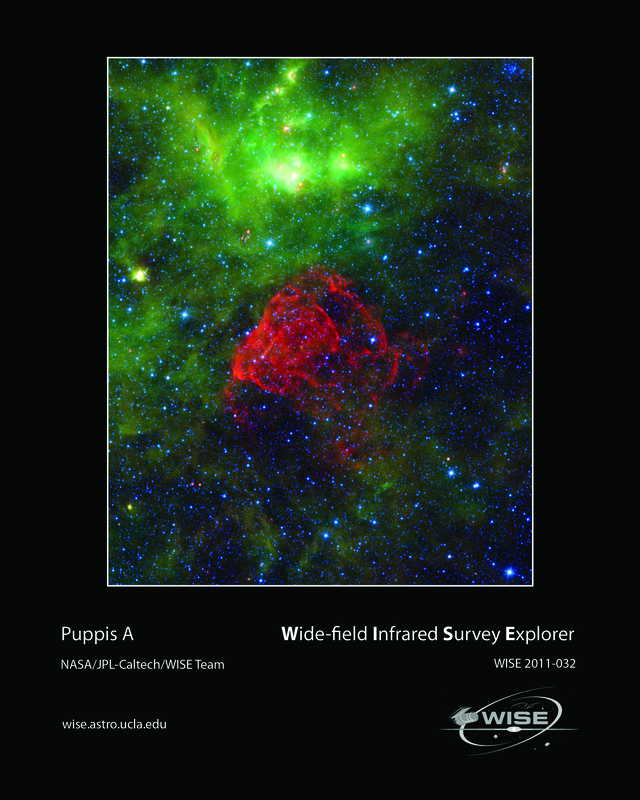 Seen as a red dusty cloud in this image from NASA’s Wide-field Infrared Survey Explorer, or WISE, Puppis A is the remnant of a supernova explosion. Puppis A (pronounced PUP-pis) was formed when a massive star ended its life in an extremely bright and powerful explosion. 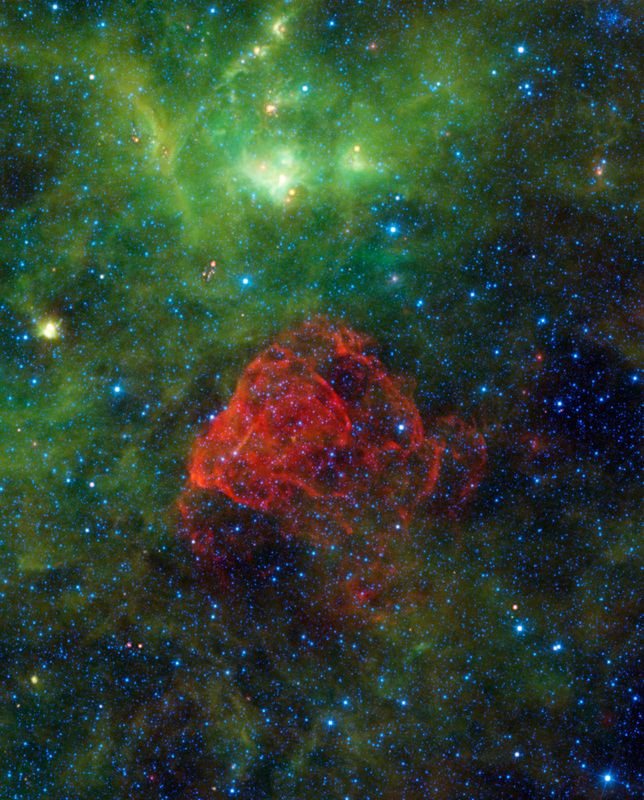 The expanding shock waves from that explosion are heating up the dust and gas clouds surrounding the supernova, causing them to glow and creating the beautiful red cloud we see here. 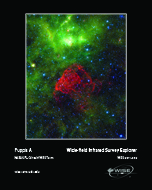 Much of the material from that original star was violently thrown out into space. However, some of the material remained in an incredibly dense object called a neutron star. This particular neutron star (too faint to be seen in this image) is moving inexplicably fast: over 3 million miles per hour! Astronomers are perplexed over its absurd speed, and have nicknamed the object, the “Cosmic Cannonball."